Slipping awake into a dreamy light with the sun clearing on the eastern horizon, I was drawn to the music of the barrier reef that had soothed me to sleep through the night. Barefoot I crossed the living room, the screen porch, and the small grass yard onto the sand. There I merged with the warm ocean, reveling in the gentle waves. If every day started like this, surely there would be peace worldwide. This was my first glimpse of Sail Rock, eight miles away on the horizon. Closer, two mysteriously beautiful palapas hovered on pilings 30 yards from the beach. Later I learned that these abodes were a part of the spa villas, two of which can be reached only by boat. The spas feature glass floors, so the colors and coral reef are visible during a massage. The early gloaming was soft and low leaving shadows further down the beach. I spotted a young man slowly raking the sand. His attention to detail would ensure that my mine would be the first footprints to cross this virgin sand. I noticed a graceful wide stone path wandering along the edge of the beach. The path formed a handsome transition from turquoise water and creamy sand to the lush gardens and trees. This trail provided access to The Pink Sands Club and my suite. 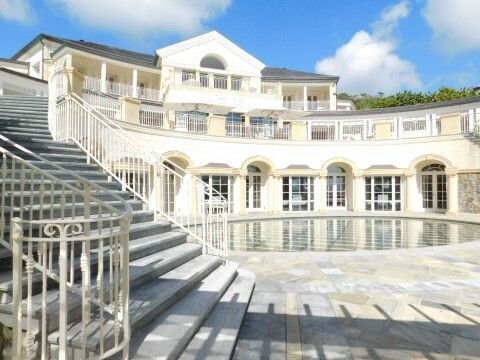 Returning from my glorious soak, I opened the huge sliding door to enter the patterned marble floors of my suite. First through the high ceilinged screen porch, then through tall linen sheers into the elegantly furnished sitting room. I’d found a peaceful and timeless universe that dissolved any residue of outside world concerns. 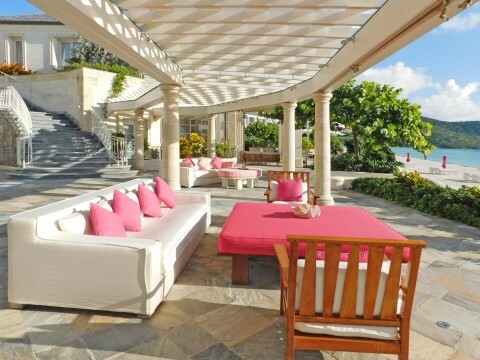 At the Pink Sands Club, pink is the color, a deep rose hue that hides like a secret inside a seashell. Bits of this color infuse the living room and screen porch, while soothing the insistence of the turquoise sea, and raging brilliance of the sun. The Pink Sands suites include a tech marvel interior. The whole suite is operated by computer tablets in each room. Lights dimmed or shut off, fan speed, sheers and curtains all open and close at the touch of any tablet. The dividing wall between the bedroom and living room has a huge frameless television wall in its center, which is retractable, sliding away to give a view of the sun or moon rising out of the sea from the bed. Not being much of a tv watcher anyway, I retracted that wall so as never to lose sight of the glorious changes through the day. Pink Sands Club offers excursions to other islands, so we went snorkeling at the Tobago Cay Preserve, famous for its clear water and shallow protected coral reefs. A comfortable 48’ catamaran greeted us at the dock, and introductions were made to the crew as gourmet lunches were stowed below. We had a glorious passage for a bit over an hour with reefs sliding under the hulls. Hurricane Mathew had been through two weeks before, so the shallow reefs were “dirty” or sand infused. Urchins looked like pin cushions covered with kelp and other bits. Corals were dimmed by the thin layer of sand and silt. Still, the water was the perfect temperature for a floating observation. The chef packed a huge assortment of delicacies that were more than enough for a long stay on a deserted island! I am always compelled to take the outside route to places here. Dinner tonight is at the Pool Bar Restaurant and the path leads me up a curved stone steps that seems to glow from the gentle hidden lighting. The gracefully curved infinity pool glows in the dark, creating an ethereal atmosphere. Dinner is served on white linen, and candle lighted tables bask under the equatorial stars. 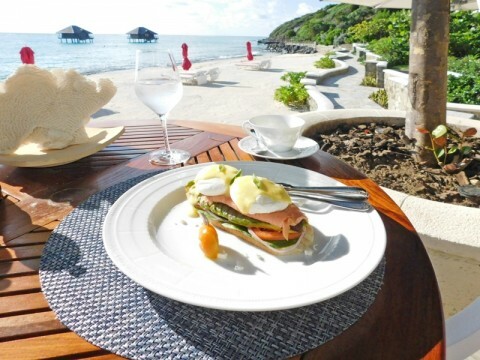 The offerings on the menu change frequently at each of the five restaurants at the Pink Sands Club. The chefs are inventive and have a broad palate of fresh materials to stimulate a new language of food. Each plate is luscious and beautiful. After another delicious breakfast by the sea, I took the golf cart that Pink Sands Club assigns to each suite for guests’ use to explore. 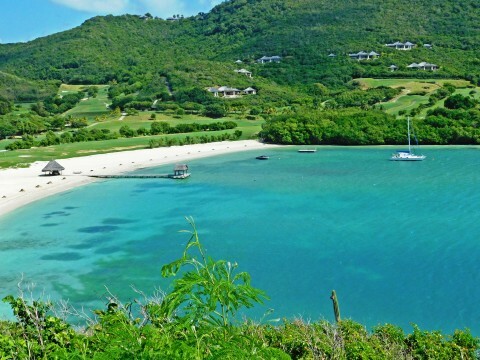 There are 1200 acres on this half of the island which encompass private villas, the golf course, a church that was brought over from Scotland 150 years ago, a Kids Club that is tailored to several age groups of guests and Shell Beach restaurant with its shaggy palapas visible across the bay. The golf cart roads are paved and easy to navigate, wonderful for exploring. My first stop was the Kids Club. Set is a small valley behind the beach where we had boarded the sailboat the day before, I found it to be a marvel of design for short people. There are several rooms, each designed for an age group, surrounding a common area with a huge cozy U shaped couch for jet lagged kids to unwind. The side room I loved best was for the smallest kids and had a huge shallow basket in the center filled with large fluffy round pillows in easter egg colors, certain to inspire a running dive and roll by anyone under the age of three. I also could envision small bodies nestled among the puffy pastels, dozing peacefully. Along the walls were books, stuffed animals, and a small sized kitchen with tables and chairs. Next I visited the church. There is something so comfortable about its stone and wood beamed interior that made me want to linger. The light inside is softened and shifted by the surrounding palms, wide open with uncomplicated elegance that exudes a feeling of a century of happy events within. I found myself thinking that if I ever get married again, I would have to keep this gentle welcoming spot in mind. Then off to the Jim Fazio Championship 18 hole golf course. Magnificent mountain and ocean views from every spot I visited, textured by flowering cactus, cotton blossoms and palm trees. Sand traps and water hazards follow the path around, and there is wild life! Birds, Iguanas and turtles which seem happy to wander and graze on the fine grass of the golf course. The course has varied terrain, handsome at every turn and always with a long site line to the sea. 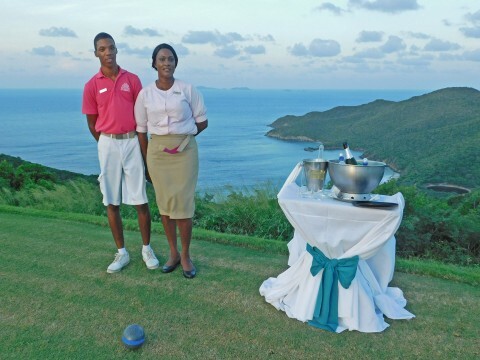 The highest green on the golf course gives a commanding view of Canouan as a whole, and to the chain of islands beckoning from the south. It is from this spot that you can really appreciate the new jet port. Built for the convenience of those who fly themselves in, or are picked up in Barbados with the C3 jet Pink Sands Club sends to pick up guests. It is the longest one in the entire region. Soon there will be a new marina next to this jet port, with several superyacht slips as well as a village of shops for yachts wanting to provision while visiting. 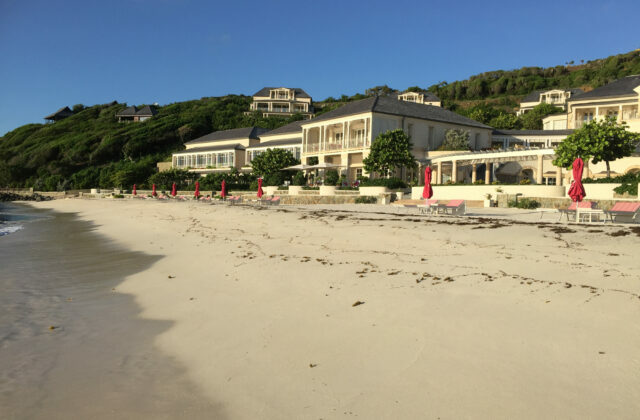 I stopped in to explore Grenadine Estates, the resort real estate office on Canouan. There are a few large elegant villas on the island that could be purchased, a small group of new smaller villa’s under construction now, as well as a few +/-2 acre house sites available. 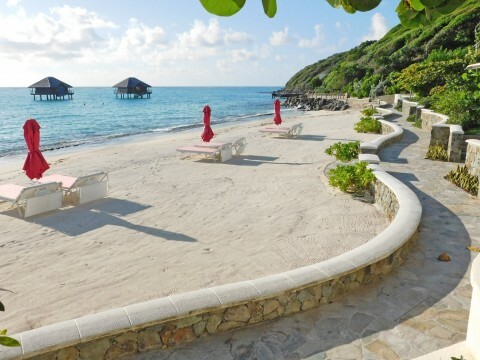 Pink Sands Club has access to these for guests who prefer to stay on the island in a villa rather than a suite. Beautifully designed for luxurious tropical living, they offer stunning views, covered ramadas, infinity pools, complete privacy and of course, the mandatory golf cart. Spread out over 1200 acres, with a possible on site population of only 300 guests, the arrangement of villas allows one to feel like the exclusive explorer in paradise. And so convenient that Pink Sands Club has five distinct restaurants, 8 Balinese style Spa villas (2 over the water), and seemingly miles of glorious beaches which are only a golf cart ride away. 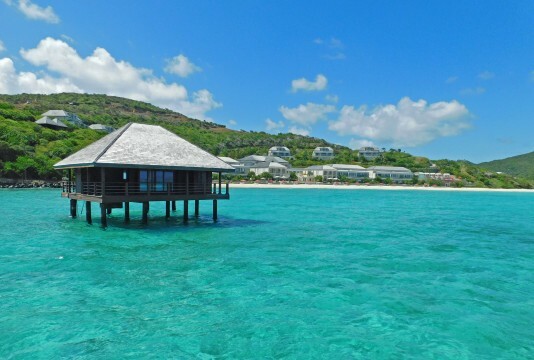 Pink Sands Club is at the very top of my list for elegant, personalized and discrete destinations which is not a small statement for someone who has been visiting luxury yachts and destinations for 19 years. I am pretty hard to impress. Still I have absolute confidence in my personal guarantee that if you are lucky enough to find your way here, you will agree with my “Five WOW” rating! 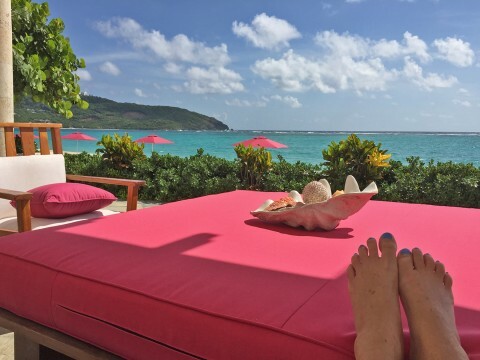 Canouan Island is welcoming, friendly and safe. Shopping is very limited right now, but when the marina is completed there will be a small open air market, as well as yacht provisioning available. Guests staying at The New Hotel can enjoy one way or return transfers on our Citation 2 and 3 jets when staying in our suites and penthouses. 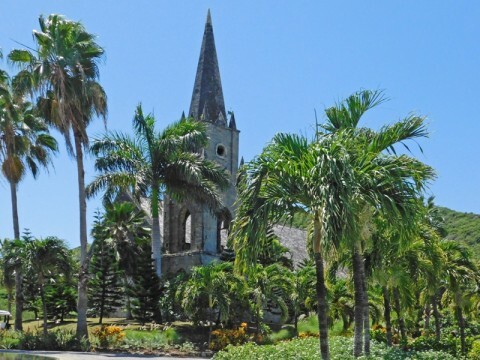 All four night stays include one way and seven night stays include return transfers from Barbados when arriving or departing on Saturday’s or Wednesday’s.